I think we can agree, the best part about going back to school after a long summer was picking out your new stationery and backpack. For me it was the absolute highlight of September and I never really grew out of my love for stationery (we all know I’m a bit of a stationery addict.) Little Legs seems to share my love for all things stationery and she’s accumulating quite the collection. 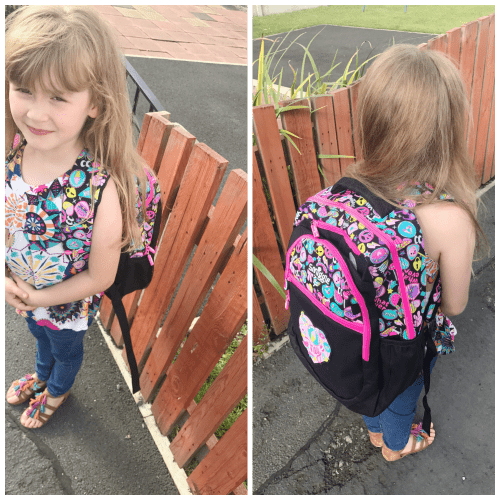 Smiggle recently sent Little Legs a new backpack for going back to school in September, to say she was excited would be an understatement. 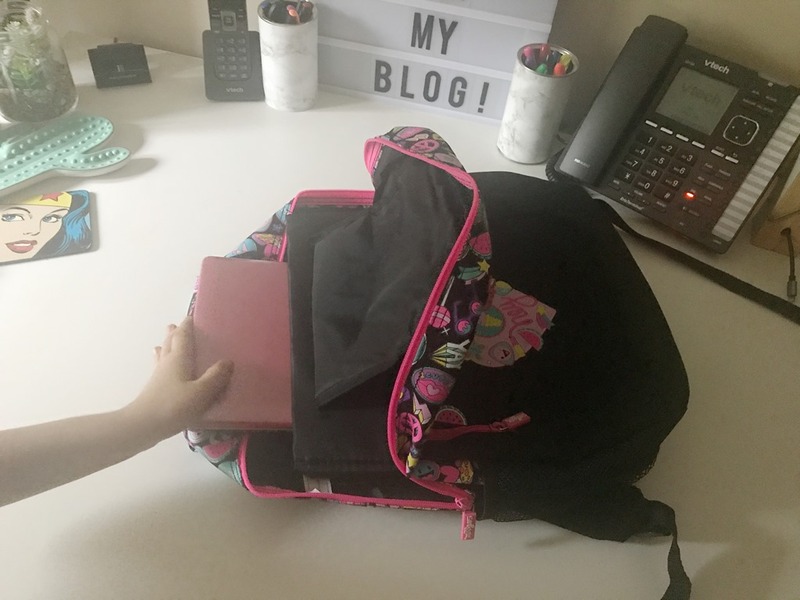 She has spent a good few hours packing and rearranging her backpack already and the school term doesn’t start for another couple of weeks for us. 4 zipped compartments, including a double zip to the main compartment. Wide padded adjustable straps which are perfect for little shoulders. Little Legs loves the design and the scented badge, her reaction to the bag has been “it’s the best bag ever”. What did I like? Well, the bag is really great quality and is not only perfect for school, but it would be great for travelling to. What I love is that Smiggle have such a variety available, there is something to suit every child. 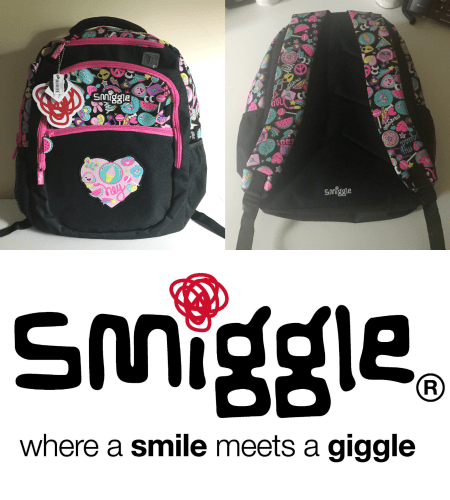 Little Legs loves her Smiggle backpack, it really suits her style and she couldn’t be any happier with it. Overall, she thinks that the backpack is the best thing ever and admittedly, I’m slightly jealous of it. 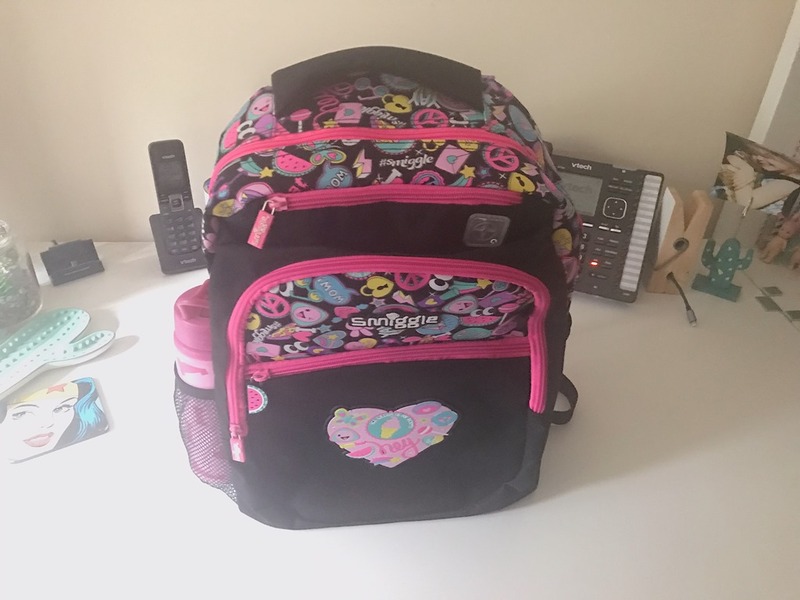 I’ve been really impressed with the Smiggle range, I’ll definitely be taking a trip there before school starts for lunch boxes and water bottles. So, thanks Smiggle! Disclaimer: We received this item in exchange for our honest review, all thoughts and opinions are our own. Shopping is the best part of back to school. My kid likes purchasing supplies and all.